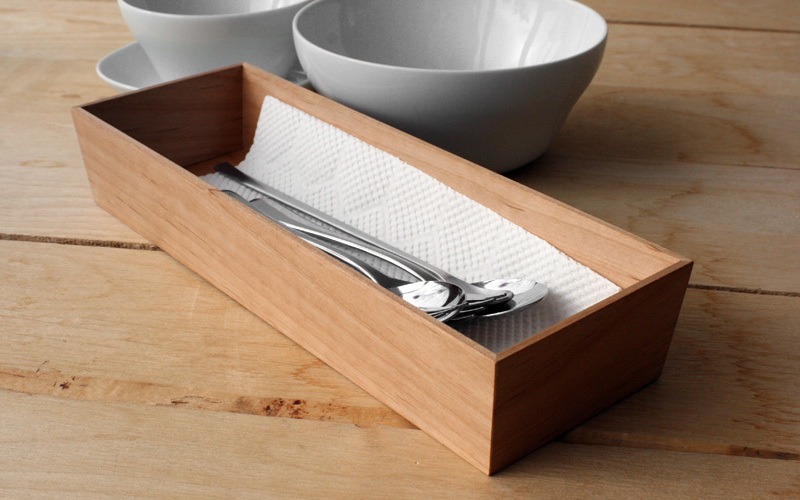 This roomy box made with real wood can neatly hold cutlery for a whole family. It begins to show beautiful patina with regular use, and a grandness can be found in this simple design. 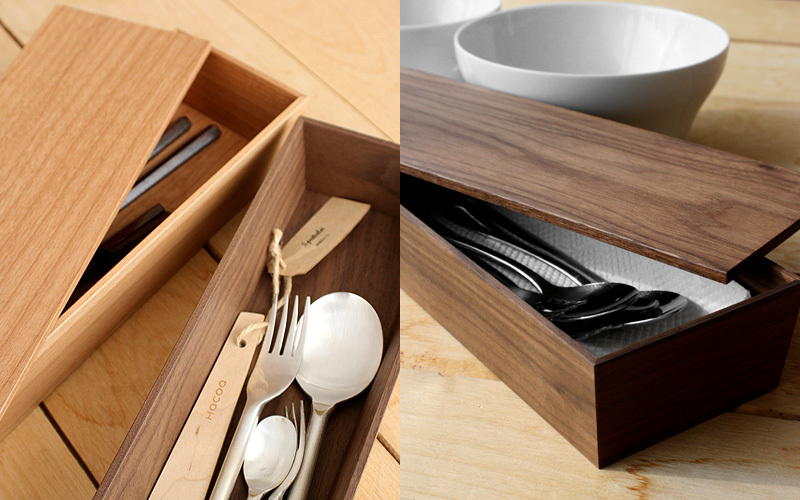 Not only it tidies up your dining table but also adds a stylish accent to it. 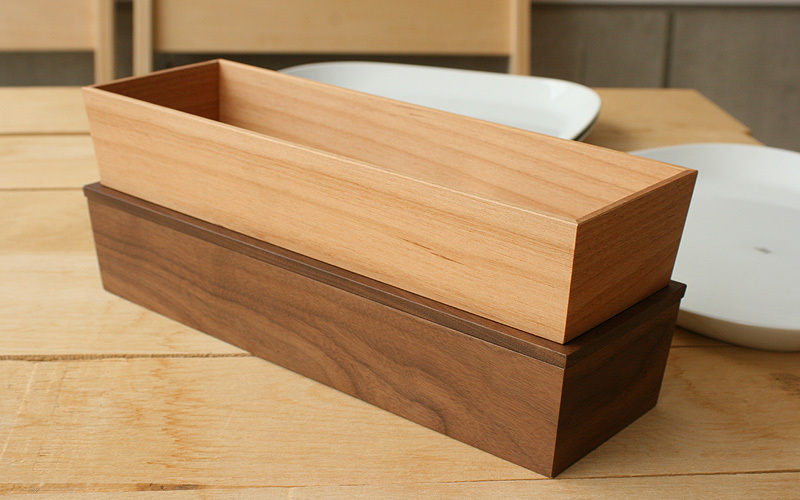 Available with or without a lid.